Train disruption is expected to last until Wednesday after up to a mile of cable was stolen from the Aberdeen to Inverness railway line. The theft forced the suspension of trains between Inverurie and Huntly on Sunday. 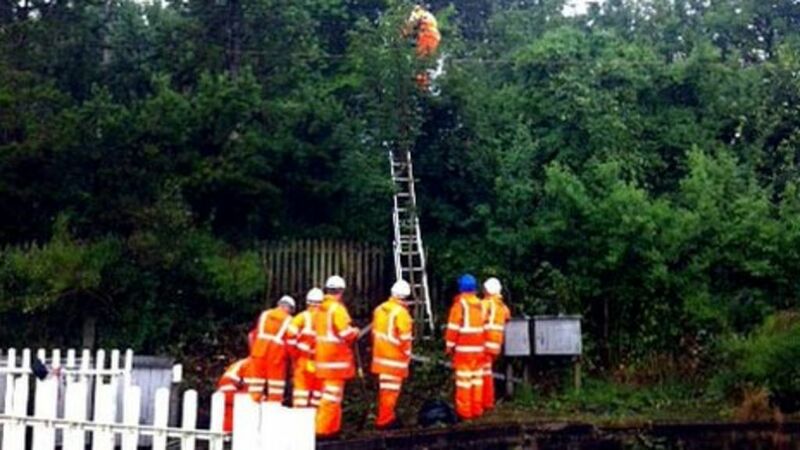 Network Rail said replacing and reconnecting the stolen cable would take some time. Replacement bus services are in operation. British Transport Police (BTP) are investigating the theft. Engineers replace a mile of cable after it was stolen from the Aberdeen to Inverness railway line. 158 729 runs into Insch station over the level crossing in October 1998 with a service for Aberdeen. Looking south at the old station building at Huntly one evening in 1997. An Edinburgh bound service about to depart from a well maintained Inverurie station on a cold February morning in 2013.